Subject: Test Release 4.11.4 of JMRI/DecoderPro is available for download. Since JMRI 4.7.3 This release will not start cleanly if installed over certain earlier versions of JMRI (the Windows installer ensures this is not an issue). Remove the JAR files jackson-annotations-2.0.6.jar, jackson-core-2.0.6.jar, and jackson-databind-2.0.6.jar from the lib directory within the previous installation directory to resolve this. Direction changes when running at speed no longer set speed to zero. For further information see: PR-4945, PR-4964, and PR-4965. Egbert Broerse added a Grapevine Simulator connection. Under Additional Options, users can set to receive Node initialization reply messages. Dave Heap added the FX-U 40 Class (Eureka). Wouter from Thurgau, Schweiz updated the ATL2051, ATL2064 and ATL2066 definitions. George Warner made a number of changes and improvements to the Layout Editor. For more information, please see the 4.11.4 sections in the documentation update by Dave Sand, and the individual change notes: PR-4386, PR-4430, PR-4433, PR-4457, PR-4513, PR-4530, PR-4553, PR-4554, PR-4578, PR-4594, PR-4613, and PR-4735. Also look at JMRI-4.11.4.pdf in the JMRI Users group files area. It provides an overview of the changes. Variable State and Action references to Entry/Exit Pairs now use the Entry/Exit system name. This prevents broken references caused by Entry/Exit user name changes. The conversion may find missing references which will be displayed in the system log. The affected Variable State or Action row will be deleted. Logix may now be shared across different Locales (languages) without losing the Mixed logic definition, e.g. english "(R1 or R2) and R3" will display and work as "(R1 oder R2) und R3" in german. 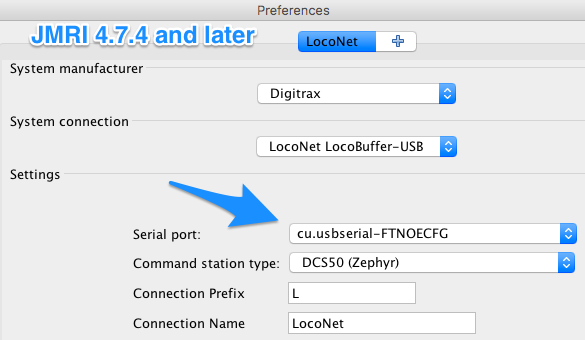 To apply this on existing Logix Conditionals, open each in the original Locale and click "Update" to update the logic to the universal format. Don't forget to save the new configuration to a (new) xml file. Incorrect placement of dragged items to a zoomed panel. John O'Duffy improved low speed operation during speed profiling. The Loco Address label on the Roster Summary Print-out was corrected. When a block becomes occupied JMRI attempts to copy the value of an adjacent occupied block. Otherwise, the new value of the block is probably not the same as it was previously. Previously, JMRI always set the value, but in this release that changed such that the last value is not restored unless one of the above criteria are met. It is better, particularly on automated layouts, not to have a value than to have the wrong value. YetAnotherAutoTrain.py — Another script for running trains that uses English like phrases to describe the train actions. The Entry/Exit system name now complies with the system name standard. The migration is automatic. Fix default MaxBlocks from Preferences now being used in the create warrant form. 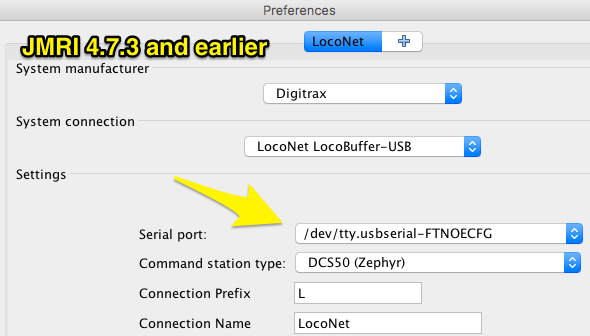 Logix may now be shared across different Locales (see note under Logix). Translations files for Logix and Conditional editing have been cleaned up. Users might see some english phrases. Translators please review. Klaus Killinger added functionality to configure a throttle button for starting and stopping an engine. For more information, please see the new VSDecoder documentation page to this option. Fixed a problem where the JMRI installer for Windows was leaving some old libraries in place, which could result in problems when installing JMRI 4.11.1 through 4.11.3 over older versions (as opposed to a remove-and-install) on Windows. This didn't affect the macOS Linux versions.